I love the fact that dentistry combines both art and science. Being able to create a beautiful and healthy smile for my patients is my number one goal. I appreciate the trust my patients place in me to help them achieve ideal dental health. Being able to make someone smile again that hasn't been comfortable smiling is a great feeling. 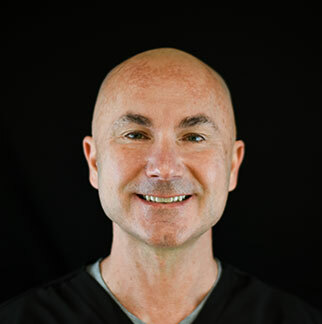 I am proud to offer the highest level of quality family dental care, and I look forward to serving my patients with the same level of dedication for years to come. I completed my undergraduate studies at the University of Arkansas in Fayetteville and continued at the University of Oklahoma College of Dentistry where I earned my Doctorate of Dental Surgery in 1996. It is my goal to always put my patients’ needs first. To do this effectively, it is necessary to continue my education in all aspects of dentistry to keep current on the newest treatment options. I am happy to attend numerous state and national dental meetings to stay updated with current trends and technology in dentistry. I am a native of Paris, AR and now live in Fayetteville with my wife, Holly. I enjoy spending time with family, working out, swimming, traveling, and watching Razorback sports. I am also involved in my community through the Arkansas Mission of Mercy, Komen Foundation, Central United Methodist Church, Walton Art Center, and the Razorback Foundation.